Consultancy and coaching services from the best of the best. The range of consultancy services provided by Ottmann & Partner can be adapted to your project, your needs and your specific coaching requirements, whether you are a one-man business, an SME or an international corporation. Our service portfolio doesn’t just include standard coaching and consultancy services for managers relating to soft skills such as employee and customer relationship management, effective team communication, constructive criticism and motivating behaviour. We also advise our clients on when to use which project management methods and tools. Our support covers both theory and practice. In one-to-one courses we can provide a theoretical grounding, if required, and your on-site coach will be there to advise and support you throughout the entire project. You get useful tips and constructive, implementable suggestions for improvement in feedback meetings, and are able to evaluate and discuss project processes with the coach. We want to help you to become self-sufficient in a transparent, logical and structured process. We’ve done our job properly when you reach the stage of not requiring a consultant any more! iPACT® stands for "internal Project Acceleration by Coaching and Teamwork". It is an innovative, modular workshop concept that is suitable for the project set-up phase, as well as the start-up and planning phases. The entire project team attends the workshop. Guided by experienced trainers and coaches, they quickly learn how to produce key work results that are important for the project team in the relevant phases of the project. The iPACT® workshop is always individually geared to specific project team needs and requirements. It is designed around existing project work results and the work results to be delivered in the current or next project phase. iPACT® workshops have proven to be particularly effective in the project set-up and start-up phases, when they are implemented as planning workshops with additional team building modules. 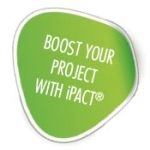 What are the advantages of the iPACT® workshop? Our innovative, modular iPACT® workshop allows you to select the precise modules from our portfolio that you and your team currently need.